This week, in lieu of our regular breakfast meeting, we will gather at noon in Rotary Park, adjacent to the Ipswich Family Y. The park opened in 2006 and the club has returned each summer to enjoy and rededicate this beautiful space. 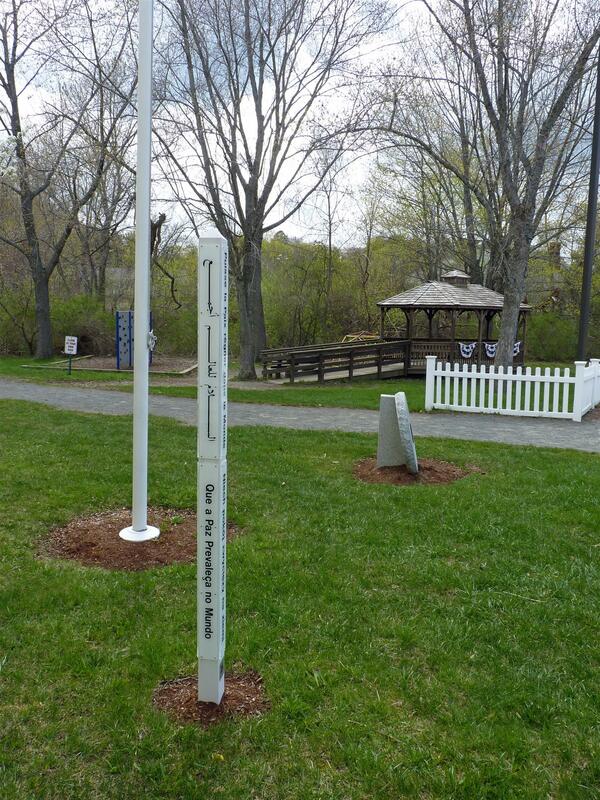 The park also is the site of one of the five Peace Poles placed by the Ipswich High School Interact Club in 2014. Construction on the park began in 2003 as the club’s “Centennial Project” to mark Rotary International’s 100 year anniversary in 2005. The project was guided by Co-Chairs Ed Bryant and Larry McNeil and a committee consisting of Gerry Beauchamp, Bud Conley, George Lewis, Bill Nelson, Joe Parks, and Don Whiston. A bench honoring the memory of Bud Conley is located near the park entrance. The picnic will begin at noon in the park. Parking is available in the adjacent YMCA parking lot.